Come one, come all to the 40th Maitland Rotary Fall Arts Festival, now known as Art Under the Stars. This juried art show attracts artists from a lot of locations and has become known as one of the premier North Orlando Central Florida shows. 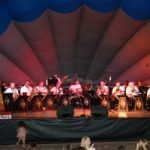 Held this year from 11/11 – 11/13, Art Under the Stars features continuous music by the Performing Arts of Maitland. There is even a stage band to enjoy Saturday night when the event is open until 9pm. The Enzian Theater will be bringing short films to enjoy too, so pack up your chairs and blankets and head on over for some fabulous entertainment. Food and beverages will be available too! 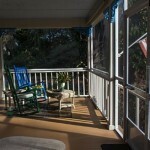 Thurston House, the only area bed & breakfast is just a short stroll from the Art Under the Stars. Why don’t you make a weekend of it and book your room now! Be sure to book for both Friday and Saturday nights as the show is open late both nights. If you book by the end of August, you can take advantage of our “Pay Ahead Special”. The money you save can be spent on some fabulous new art for your home, or even some beautiful jewelry and other wonderful items. 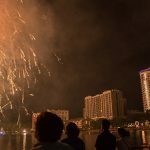 The City of Orlando will celebrate 4th of July in Orlando for the 39th time this year. Enjoy food, drink and entertainment while awaiting the 9pm fireworks. The festivities take place around beautiful Lake Eola. Come early to find a special place to set up your chairs, then wander around the park. The swans will entertain you, the sculptures will amaze and the landscape will be beautiful. People will be plentiful as these fireworks are very well known and they come from all around the area to enjoy this special event. 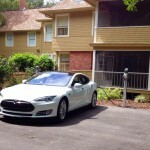 Thurston House, a great accommodation choice for July 4th in Orlando! 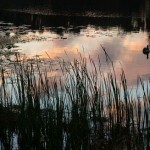 This park is convenient to Thurston House bed & breakfast, only 6 miles away. Drive the short distance or take a taxi so you don’t have to worry about the crowds when you leave. It will be a very special evening, this 4th of July Orlando, and even better you get to spend the night with us too! Book now for best selection as we are a small inn, tucked away but close to everything too. You can look online at the guest rooms and can conveniently book your room there too. Winter Park Arts Festival 2016 is almost upon us. This year the show is on the dates – 3/18-19-20. The Festival features a wide variety of fine arts and crafts including the categories of clay, digital art, drawings & pastels, fiber, glass, graphics & printmaking, jewelry, leather, metal, mixed media 2D, mixed media 3D, painting, photography, sculpture, watercolor and wood. Attendees travel from far and wide to go to this well known and respected art show. Winter Park Arts Festival 2016 is held along Park Avenue, an area well known for wonderful shops, wine stores and eateries. 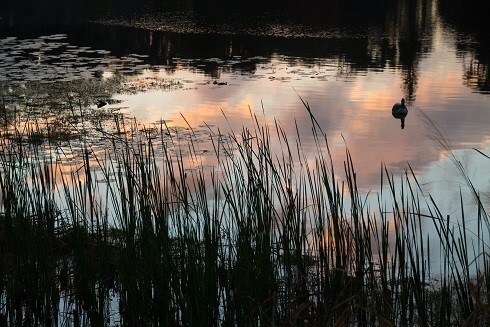 Guests at Thurston House, the only Winter Park area bed & breakfast, love that we are located so close to the show, yet in a quiet setting amid 8 acres of lakefront land. After a busy day enjoying the beautiful show art and perhaps making a purchase or two, the guests gather back on the wraparound porch sipping a beverage and enjoying the complimentary 5pm snack. Winter Park Arts Festival 2016 will once again bring a full house of guests here to Thurston House. Special Friday Nights at the Morse! This is the time of year when the Charles Hosmer Morse Museum of American Art in Winter Park opens its doors for free every Friday evening – Special Friday Nights at the Morse!! The free events planned for this Friday night include live music by Beautiful Music Three Flutes at 5 p.m., a family tour of the galleries at 5:15 p.m., an art demonstration by Orlando artist Sandy Lent at 6 p.m., and a curator’s tour of the exhibition “Louis Comfort Tiffany’s Laurelton Hall” at 7 p.m. Enjoy one of these activities or just stroll around this magnificient place on your own. Admission is free from 4 p.m. to 8 p.m.
North Orlando’s Thurston House bed & breakfast in Maitland offers wonderful accommodations, and are located just over 2 miles away. Check in around 4pm, relax and refresh, enjoy a complimentary cheese & beverage snack at 5pm, then head over to Special Friday Nights at the Morse! There are many dining options up and down Park Avenue in Winter Park, or come back into Maitland for a wonderful dinner at Antonio’s, Francesco’s or Rangetsu. Wind down your evening by sitting on one of the porches sipping your complimentary peach schnappes. You may just catch a glimpse of an owl flying by as last nights guests did. 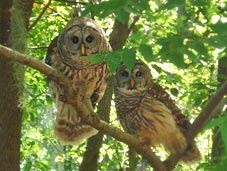 They loved hearing the distant hoots of thesw neighbor birds. Our setting in the middle of 8 acres of wooded land gives us the feeling of being many miles away, yet we are close to everything. 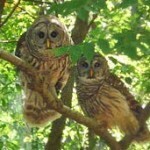 Thurston House owls during your stay for Special Friday Nights at the Morse! Check our website for special reservation deals, and also shop for those special people on your list by purchasing gift certificates. You won’t be sorry that you chose to stay here for Special Friday Nights at the Morse!! This Friday night 11/13/15 the premier Upcoming Winter Park Car Show starts – Concours de Elegance. From classic cars parading down beautiful brick streets, to viewings for all on the Park Avenue in Winter Park, this show has everything a classic car enthuisiast would love! Come and enjoy the events lasting all weekend, hob nob with the rich and famous, listen to wonderful music and enjoy great food offerings. 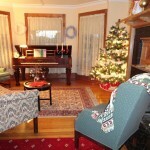 Thurston House Bed & Breakfast, just minutes from all the festivities offers great accommodations. Just over 2 miles away, yet situated in a very secluded setting, we are the perfect place to stay for Upcoming Winter Park Car Show! Relax in the morning over a great cup of custom roasted coffee, sit in a colorful rocking chair overlooking Lake Eulalia, enjoy a full complimentary breakfast in the beautiful dining room, then head over to the Upcoming Winter Park Car Show. 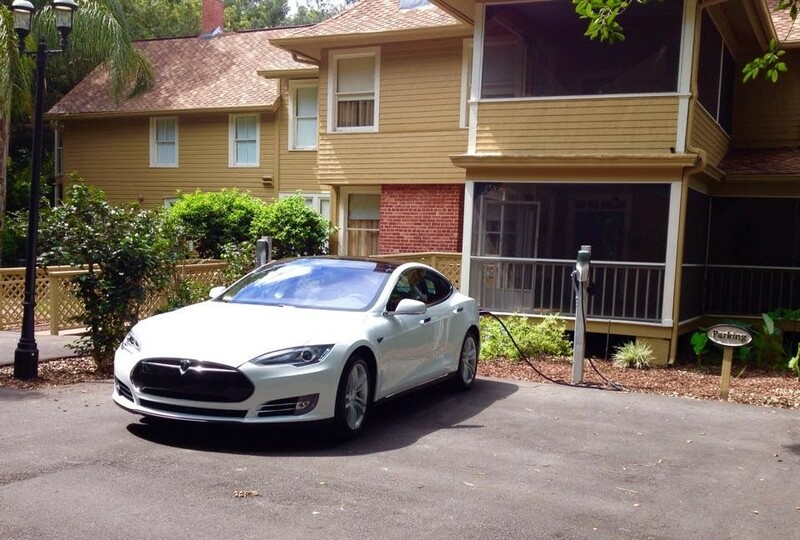 If you happen to be a Tesla owner, we offer complimentary charging stations too! Book now before it is too late. Check out our pay in full special too for a great deal. We want to show off for you! Rollins College will honor graduates of the Arts & Sciences and College of Professional, Crummer Graduate School of Business, and the Hamilton Holt School during three separate and distinct Rollin’s College Graduation ceremonies next month. Activities will take place May 3rd, May 10th and also May 11th. Our North Orlando Winter Park area bed & breakfast Thurston House in Maitland would be the perfect accommodation for your stay. Rollin’s College Graduation is always a very busy time in the already quite hectic Winter Park area. People from all over the world are attracted to the Park Avenue area for a variety of reasons. There is fine dining, great shopping and even a world class Tiffany museum, the Charles Hosmer Morse Museum of American Art. Thurston House is just a short drive to the Rollin’s College campus, located at the far southern end of Park Avenue. Attend the special Rollin’s College Graduation events, enjoy a wonderful dinner at many of the special restaurants along the Park Avenue area, then come back to the peace and tranquility that we are known for. 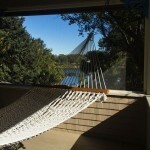 Our location in the middle of 8 beautiful treed acres overlooking Lake Eulalia, makes for a quiet end to your busy day. With only three guest rooms, even a full house is not hectic at all. Wake up to the sound of birds chirping and come to the dining room for early coffee. 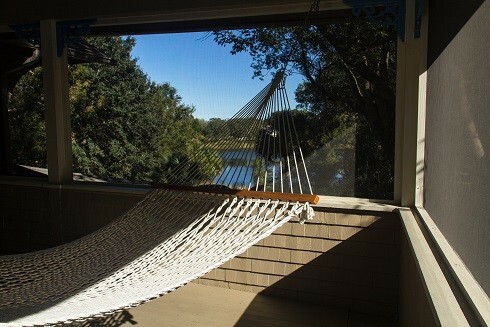 Take that to the porch and watch the sun rising over the lake. Your full breakfast is innkeepers choice, but always a gastronomic delight. Valentine’s Central Florida, at a Bed & Breakfast to show your love is a wonderful way to treat that special someone. Anyone booking for the nights of 2/14 & 2/15 will have special treats awaiting them. As you enter your beatiful guest room there will be silk rose petals strewn about the bed, falling onto the floor. Special chocolates and a Thurston House gift will be laid out for you, and the room will have an abundance of special fresh flowers to enjoy while you are here. Valentine’s Central Florida, at a Bed & Breakfast to show your love is always a fun time of year for the innkeeper, who enjoys decorating with seasonal themes. Expect to find heart designs everywhere! There are so many wonderful area restaurants to partake of a special celebration meal, or you can bring a picnic dinner and enjoy the secluded dining area on the beautiful wrap around porch. 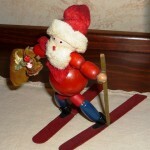 At 5pm each night the innkeeper will be putting out special snacks for all to enjoy, along with a special beverage too! Breakfast is always a treat, with wonderfully delicous items, innkeepers choice. If you feel like anything in particular, just ask and the innkeeper will do what she can to accommodate you. It is all about YOU for this special romantic time. 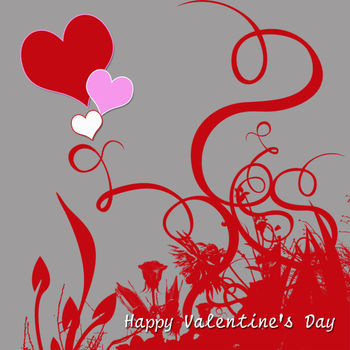 Don’t you need to book Valentine’s at Central Florida Bed & Breakfast to show your love now??? 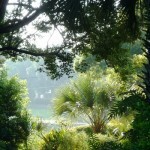 Holiday time Central Florida is very special. The cities of Maitland, Winter Park and Eatonville all adorn their streets with decorations, lighting and trees. The weather is perfect for strolling around, watching neighborhoods slowly become Winter Wonderland’s. Lightin displays in this area can be quite unique and beautiful! 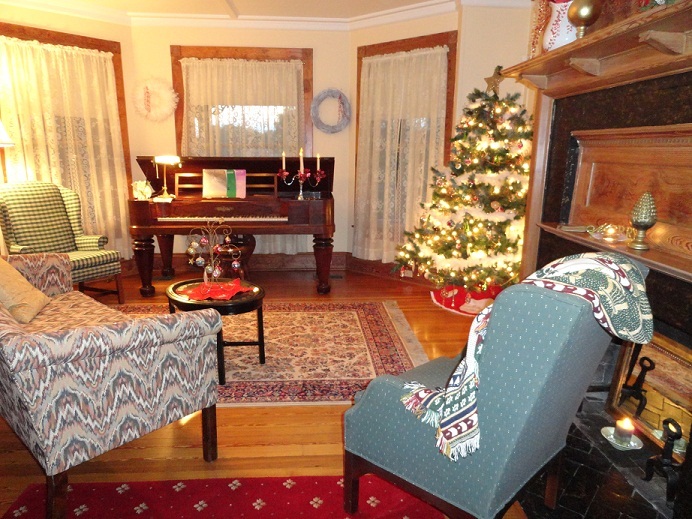 In Maitland, Holidays at Waterhouse Residence is a great way to get in the spirit of the season. Starting November 29th, this 1884 Victorian beauty will be all decorated and ready for your visit. Imagine what it was like for the Waterhouse family when they had their own holiday celebrations in the 1880’s. And be sure to look for the Waterhouse Mouse. He hides in a different place every year. On December 5th, the Charles Hosmer Morse Museum of American Art in Winter Park starts their celebrating by offering a special evening out in the park – Tiffany in the Park. From music, to food, and even gorgeous Tiffany windows in the park, this is truly a special night. In Winter Park, December 7th is the date for their annual holiday parade. 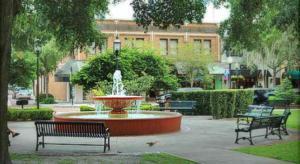 Come see it all, and then stick around to meander the lovely Park Avenue area. Many shops and restaurants await you! Then come back to Maitland in time for Season of Light, also on December 7th. Santa travels around the city on a firetruck, and arrives at Lake Lily Park in time to kick off this celebration. There will even be food and fireworks this year! And of course, Thurston House will be decorated too for Holiday Time Central Florida, starting right after Thanksgiving. 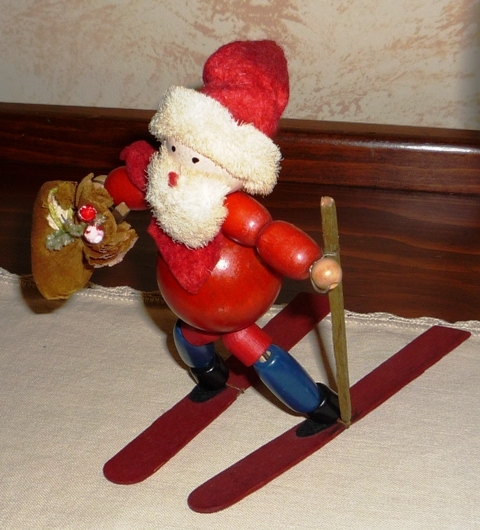 Enjoy the holiday decorations that we have lovingly collected over our lifetimes. From antqiue Santa’s to holiday linens, all will be sure to please your holiday senses. Come stay with us and imagine the Thurston family here for their celebrations in the 1880’s…truly a special time! North Orlando’s Rollins College Family Weekend! Announcing North Orlando’s Rollins College Family Weekend! School is back in session at Florida’s oldest continually running college, Rollins College in Winter Park. Once the students are all settled in for the school year, the college hosts a Family Weekend. This years dates are 11/1-11/3. This fun filled weekend bring families from all over the world, to share in all the festivities. Remember, that is North Orlando’s Rollins College Family Weekend! Thurston House our North Orlando Winter Park Bed & breakfast is just minutes away from campus, but a nice and quiet intimate accommodation. Our 8 acre wooded location is perfect for a quite read in the upstairs hammock, or grab a colorful rocking chair on the downstairs wraparound porch overlooking Lake Eulalia. Late afternoon snacks are offered, and the full breakfast each morning is world class! Rollins students have been known to join their family for breakfast, or even for a sit on the porch in the afternoon, a nice respite from their busy college life. Book now as rooms are sure to go fast!